Problems are real; they need to be addressed differently than mere challenges and opportunities. Left unattended, problems almost always grow. I couldn’t agree more. Words matter. The meaning assigned to those words matter. And how we are trained, either as children and on the job as adults, plays a role in our ability to adequately recognize and handle problems that are a natural part of life and business. In my comment on Steve’s post, I shared how the use of vanilla words and phrases serve to substitute and minimize what words and situations really mean. When we are taught, expected, or allowed to deny the truth and reality of a situation, the less likely we will be inclined to do anything about it. What happens when we are trained to treat ourselves in much the same way as a vanilla word? Constantly minimizing the real impact life is having on you? What if we are trained only to acknowledge and validate what is going on for others as real and legitimate but not ourselves? We’ll explore this in a story from my own life when I experienced my first significant physical injury as a young adult, who had been trained up until that point to consider the needs of others as more important than my own. Note well this wasn’t on much of a conscious level at that time and only became conscious to me in retrospect. So if you have a few minutes, hop into my time machine and we’ll travel back to the year 1992. 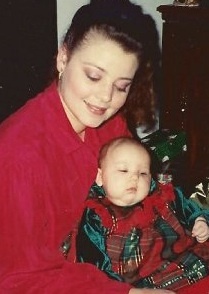 There I am below at the age of 23 with my first born, Jessica. At 8am on a Saturday morning we were ready to hit the slopes. While some people, including my husband, were preparing to take lifts up the mountain, others, including my girl friend, ReNai, were wanting to go cross country skiing instead. Hindsight is always 20/20 and ever since, I have kicked myself for not going with my her that day. Instead, I wanted to go skiing with my hubby! We had been working different shifts and had become like two ships passing in the night, plus tending to our new baby. So I was anxious to spend ‘quality time’ with my man, giving very little thought or consideration to the fact that I hadn’t been on skis in several years, and I was not yet physically prepared to tackle a mountain! It was settled. The three of us, including my girlfriends husband, Greg, took off for the mountain and hopped on one of the lifts. Outside of some butterflies in my stomach due to excitement about going on a new adventure, I don’t recall worrying about anything bad happening. I was happy. It was a glorious day with my husband and friends and the weather couldn’t have been more perfect. Before long we reached our destination and the guys indicated it was our time to exit the lift and begin our journey back down to the bottom. I stood up from the chair and slid easily down the gentle slope without a hitch (perhaps a wobble or two! ) and began following the guys to the start of the descent. 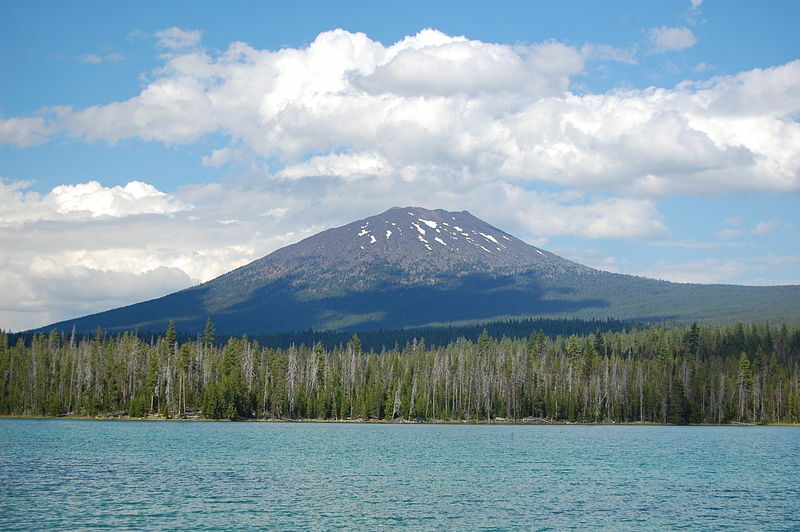 At this point, I would love to be able to share some dare devil story that I sped down that mountain faster then a speeding bullet from a gun, with some gnarly aerial jumps and 360’s for good measure…. It wasn’t more then a few minutes after exiting the lift that my skis decided they wanted to go in opposite directions. And before my brain could tell the muscles in both my legs to get it together fast enough to pull them back in again, I was tumbling forward down the hill….in some not so elegant Chinese splits….with both knees inverting and no mercy on impact since for whatever reason, the boots didn’t release from the skis like they were supposed to. At this time in my life, I was working on the ortho-neuro ward at one of our local hospitals. So it would seem that I would be an expert at knee injuries and able to diagnose myself without a problem, yet when it came to myself, this couldn’t be further from the truth. Although I could follow policies and procedures, knew how to follow doctors orders, knew how to administer various medication and treatments, and I could assess another person by observing their vital signs and have them rate their pain for me, what they were actually experiencing inside of their bodies was limited to the realm of theory inside of my head. I couldn’t relate to their pain at all. Not really. Not until I had my own accident, felt pain, and temporarily lost some mobility in my own body for a few weeks. When it came to having to deal with my own pain levels and needs, this was a whole new ball game. One that was completely foreign to me. I was used to taking care of OTHER people….assessing THEIR pain. Treating THEIR injuries. THEY were allowed to be in need and had the right to be taken care of, but not me. I hadn’t been taught to apply that same care and compassion to myself. What I recalled most was not wanting to be a burden to anyone and frustrated because I couldn’t walk very well for several weeks and needed some help from other people. As is typical of abuse survivors, and frankly, for many people, I had been trained from a very young age to minimize, if not completely deny the reality of my experience. So I was used to minimizing pain in my body. Both physical and emotional pain. I was taught that my needs weren’t as important as those around me, so I was embarrassed when I had to ask for help. So I rarely did except for when I absolutely literally couldn’t function without it. These beliefs were further reinforced when I joined the military. We were taught to set our own needs aside and sacrifice for the good of the many and our country. All of which may seem extremely altruistic yet, it wasn’t really choices being made from a highly evolved state of self-awareness and consciousness. True love is not loving others at the expense of ourselves. It is loving both self and other at the same time. So when my doctor told me that the only thing wrong with my knees were pulled ligaments, I initially accepted it without question and carried on with my life. The only problem was, although I could eventually walk, I could no longer run. Well, that wasn’t so bad though. I didn’t really LIKE to run and since I was no longer in the military, I no longer HAD to either. And once I went back to work on the night shift, I quickly adapted to life with what I considered to be ‘bum’ knees. Yet instead of going back to the doctor as I should have when I realized I couldn’t handle certain physical activities anymore, I minimized it by telling myself that I was just being a baby. There’s nothing seriously wrong. Working the night shift, odd sleep schedules and raising a family during the day became the priority. Until one day, I just couldn’t deny that there was something wrong anymore. Every once in a while when I took the stairs at the hospital instead of the elevator, it occasionally felt like my left femur was slipping off my tibia. It didn’t happen all of the time, yet when it did, it was painful enough that I couldn’t deny it. And even though I knew that it wasn’t normal, I still couldn’t help feeling that perhaps I was overreacting. It wasn’t until after I had quit the night shift at the hospital and was home full time, home schooling my oldest daughter, that I finally went back to the doctor. I shared the symptoms I had been experiencing and brought up that perhaps I had torn my meniscus instead of just pulling things in the initial accident. My doctors response wasn’t acceptable. I knew something was wrong so I didn’t let it go. I pressed further and insisted that I wanted it checked out more thoroughly. I requested an MRI and told the doctor that I was a nurse and where I worked at the hospital. On that note, the entire situation shifted. Suddenly, the doctor decided that I may have a valid claim and immediately scheduled the MRI. The results? Not only had I tore my meniscus in both knees, but I had also been living with a torn ACL (anterior cruciate ligament) in my left knee, and had been for all of those years. I found out I wasn’t being a big baby after all. I was relieved. Not because there was something REALLY wrong with me, but because the problem was no longer being denied anymore. My symptoms were real and not a figment of my imagination. Although I had to push the issue and become my own patient advocate, I began to have a little faith in what my body had been trying to communicate with me and that I could learn to trust it. I also felt vindicated when it came to my doctor, who had initially tried to minimize and deny what I had experienced. I’ve had three knee surgeries since then and my left knee never did return to a fully functional status although the ACL repair is still holding strong. The two additional surgeries were focused on repairing the meniscus and both times, they were unsuccessful. Actually, there were multiple lessons in this story, some of which continue to this day. However, the biggest lesson I would want you to glean from this is perhaps the most important one of all. And it has to do with the relationship we have with ourselves. It is this relationship, how we learn to relate with our bodies that impact our ability to properly care for ourselves. And while many of us may have learned to care for others at our own expense, it’s time we recognize with greater depth and clarity that we can’t effectively take care of others for long if we let ourselves go…if WE fall apart….or if we die too young…just as my husband did of an unexpected heart attack at the age of 35. I know someone needs to read this today. I know some of you have been neglecting yourselves, your bodies, your health, just as I have. And it’s time to say no to neglect and yes to giving yourself the love and care you and your body so desperately need and deserve. Like me, perhaps you have children that would prefer you stick around for a few more years. Maybe you have a spouse or someone who loves you dearly that wants you to stay on this earth for as long as possible. Take this post as a permission slip to finally saying YES to your life. And you can only do your part by no longer minimizing and denying your own needs. The Power of Denial causes…. a man to minimize his chest pain, believing it’s heart burn instead of a heart attack. Denial does have it’s purpose in our lives. It helps children and victims of trauma and abuse survivors, POW’s, and combat veterans to survive unbearable environments. We also naturally go through a period of denial whenever we suffer some form of loss such as when someone we love dies, or face a personal injury or it could be a financial and material loss. There is a helpful side to our denial when it serves to get us through our grief stages or when absolutely necessary for survival. It serves us…until it doesn’t anymore. Denial serves us until it begins to push us down the path leading to our own destruction. So if you take away only one meaningful suggestion today, let it be this. Learn to become your own patient advocate. Encourage those around you by becoming their best self-care advocates. In doing so, we shine a light and begin to heal a part of the world that begins with us. Right under our own two feet. 1. In what ways could you relate to my story of denial? 2. In what ways have you neglected your own body and health in the past and what happened as a result? 3. Do you know someone personally who has neglected their health and what happened? 4. Is there anything in your life that you might be in denial about right now that you are willing to face and deal with? If so, what is it? 5. What is the worst thing that could happen if you continue to be in denial over that particular issue or problem? 6. What is the best thing that could happen if you finally face and deal with what you have been denying? 7. Are you able to deal with this issue or problem on your own or do you need additional support in order to be successful? 8. 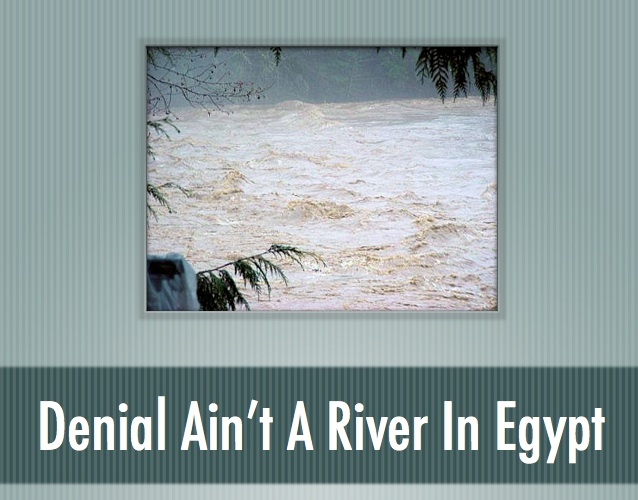 What additional resources could you use to help you work through issues of denial? 9. Who can you be completely honest with when it comes to what you’ve been in denial about? 10. What are the first steps you can take to begin facing and addressing the problem you’ve been denying in your life?